Twistfix in your Pocket - Download our New Mobile App! Twistfix in your Pocket - Download our Shiny New Mobile App! Using a smartphone or tablet to purchase products and services online continues to grow in popularity. 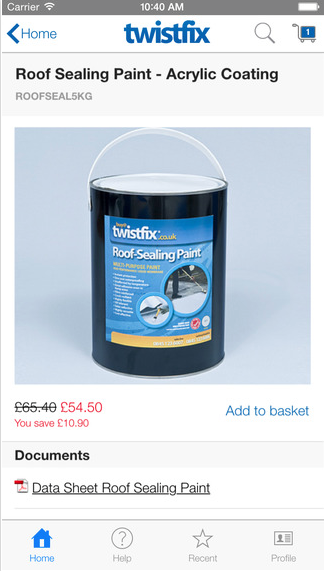 Twistfix continually seek to improve our customers’ experience when choosing to buy our quality building and renovation materials and our investment in an adaptive, mobile-friendly website is now joined by a further vital development - the Twistfix mobile app!